Bud Light will have a 60-second spot during the Big Game, where it will debut a new friendship-focused campaign and tagline, “Famous among friends,” from its creative shop, Wieden + Kennedy in New York. The 60-second spot is part of Anheuser-Busch’s three-minute lineup for Super Bowl LI, which will also feature another 60-second ad (Anomaly’s work for Budweiser) and two 30-second spots—Deutsch’s work for Busch and FCB Chicago’s for Michelob Ultra. The company plans to run an ad during each quarter of the game. 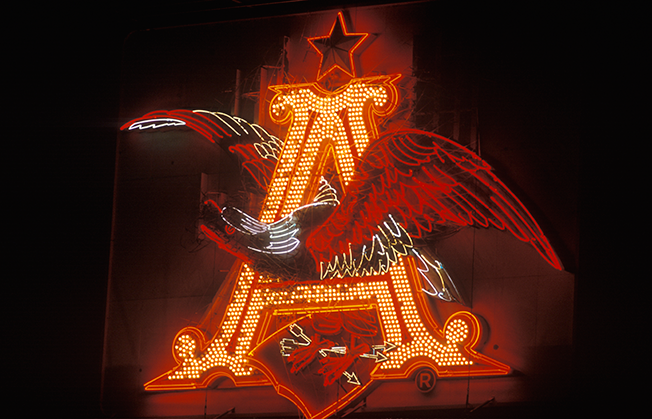 For Budweiser, the company wanted to “celebrate ambition” by going back to its roots and telling the story of its co-founder, Adolphus Busch, and how he came from Germany to the United States in 1857 with the dream of founding Budweiser. Celebrating the American Dream is part of why the company is “comfortable putting America on our label,” added Marcondes, who said the company plans to put America on its label again this year. Bud Light’s new campaign won’t feature celebrities, like last year’s elections spoof with Amy Schumer and Seth Rogen. Instead, the “Famous Among Friends” campaign will tout the “big and small” moments in friendships. It is possible that work from Bud Light’s new campaign will debut before the Super Bowl, noted Marcondes. Michelob Ultra’s effort will focus on fitness again and it will continue to use the tagline it debuted during last year’s game, “Brewed for those who go the extra mile.” Last year was the first time since 2010 that Michelob Ultra was part of the Super Bowl. As for Busch, the value segment brand will make its Super Bowl debut but that doesn’t mean the company is focusing more on the value segment now. The Busch brand has been “performing pretty well” and so “why not” bring the brand to the Super Bowl for the first time, explained Marcondes.